Ah, yes — with the arrival of this beautiful California Craftsman at 400 North Bixel Street — the needle ticks one step closer to midnight with the gentrification of Echo Park’s Hi-Fi neighborhood. 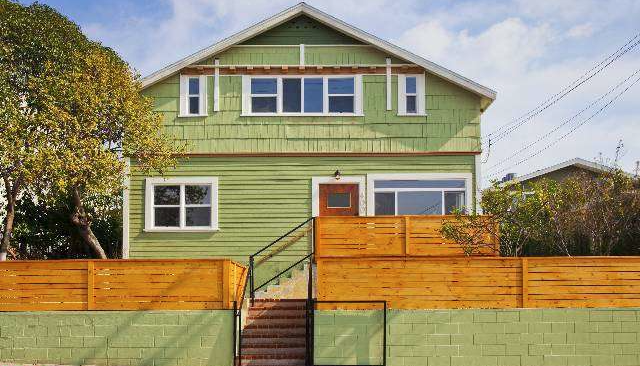 That is certainly not a complaint, as this large (2,500+ square feet large) lime green home has been tastefully updated with character intact. 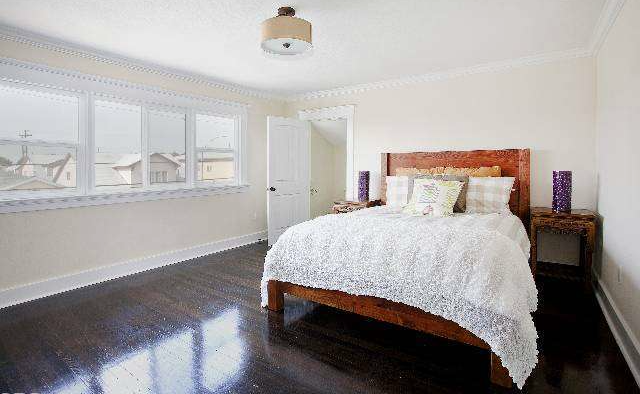 Originally built in 1909, this 4 bedroom, 3 bath home enters the market with high hopes at $648,000. From the dark hardwood floors, high ceilings with crown moldings, and other details of the era, it would seem that the general bones remain proudly displayed. 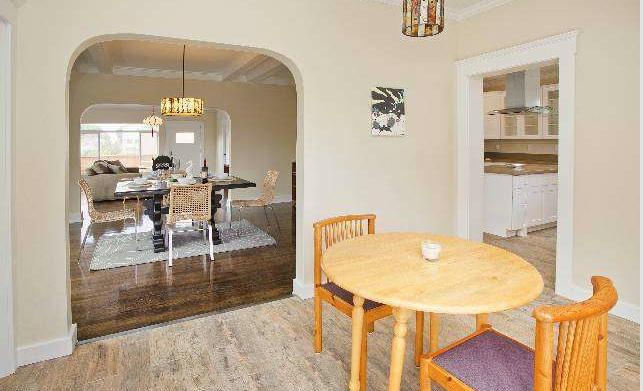 The stunning layout is very open — a large living room leads to a large dining area, flowing into a large kitchen and breakfast room, the latter rooms having their own unique wide plank wood flooring. The kitchen balances modern and traditional touches with an amply-sized island, and over abundance of cabinetry. 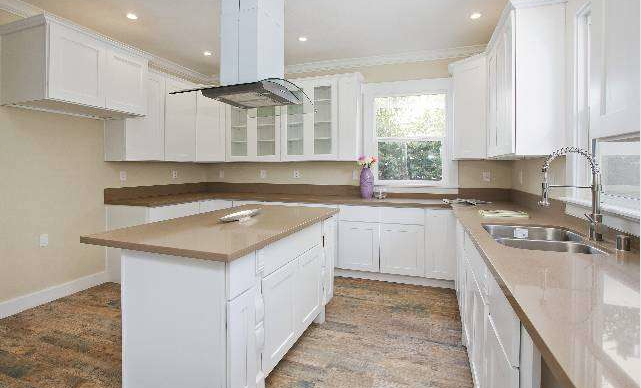 Please note that a stove and dishwasher (not pictured) are present at the home. 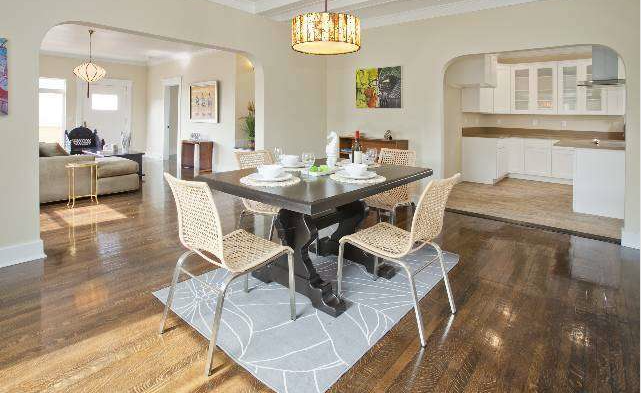 A generous amount of light abounds throughout the downstairs living area, whether in the family or breakfast rooms. 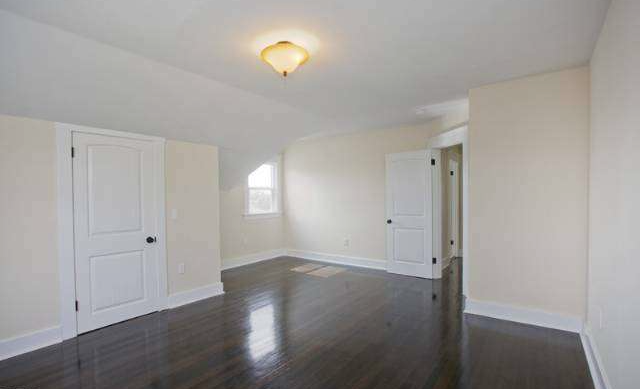 Such an open floor plan should make any sort of entertaining that much simpler. Making your way upstairs, you’ll notice that the ceiling creates for some interesting dimensions in the bed and bathrooms. 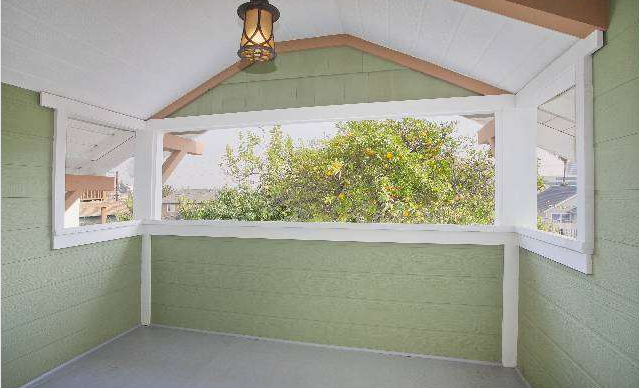 The master bedroom even gets its own porch with a picturesque bay window. 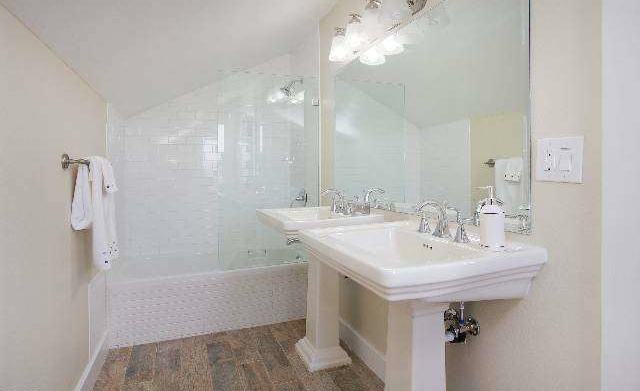 All bathrooms have been tastefully re-done, with period appropriate touches. What I like most about the home would be its added potential. Sited on a 7,419 square foot street-to-street lot, there’s definitely an opportunity to build another bungalow or potential studio in the backyard. 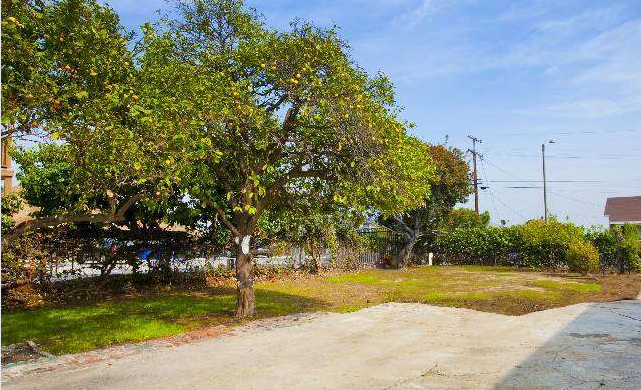 Fruit trees, a concrete pad, and a semi-lush lawn speak volumes. Other urban draws to the home’s location include proximity to the Echo Park Deep Pool and Vista Hermosa Park. To schedule a private showing, feel free to contact Jovelle Schaffer at jovelle@jovelle.com. 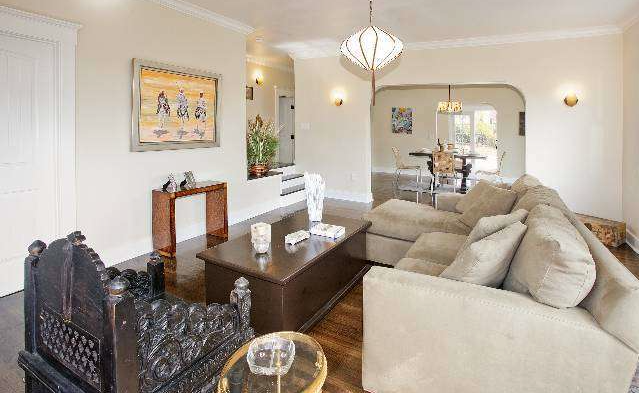 Rosemary Low of Sotheby’s Los Feliz has the listing.